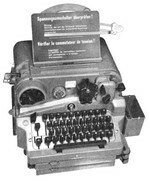 There are different accessories worth to be mentionned: Morse code printers, teletype machines and ciphering equipment, etc. 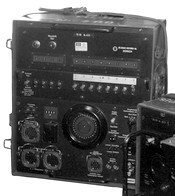 did replace the Siemens Hell system after 1947 - 51 on the wireless stations M1K, G1,5K and C Station (60 + 12 systems). 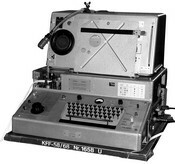 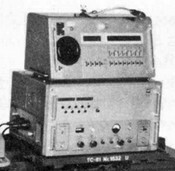 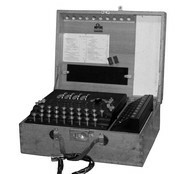 consisting of Telecryptogerät TC-61 base unit and set - top encryption unit.